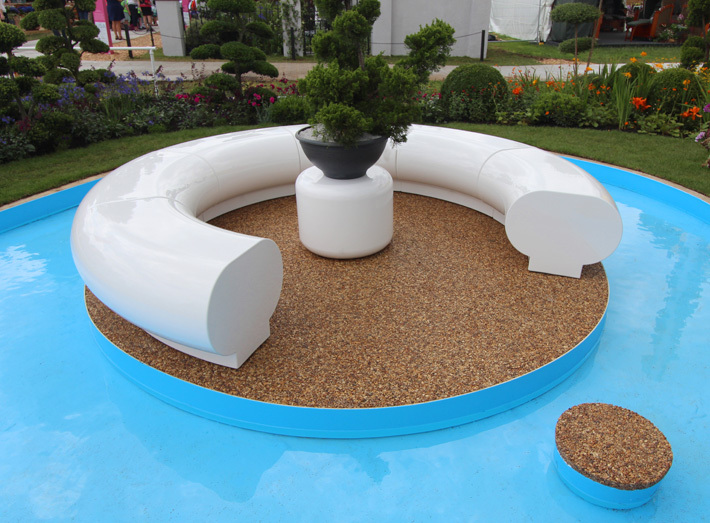 Six white Halo seats, a cylindrical Drum seat and Rondo seat / table from our GeoMet range have been supplied to contemporary landscape designer, Edward Mairis, for his stunning new 'Journey of Life' garden at Hampton Court Flower Show 2017. The furniture pieces will create focal points of Mairis' new style of garden design, 'Poetic Gardens'. During the designer's 22 years of creating beautiful gardens he has developed an ever-greater sense of how gardens are places of poetic beauty where people connect with nature and with themselves in an intimate and sometimes intangible way. This new form of gardens, 'Poetic Gardens', sees Mairis also writing a poem for each new space. "Halo is very pure and minimal, it's understated yet alluring and it also blends into the landscape. The seating also provides the perfect functionality for the meditative pool - it offers a place of serenity, which is perfect to sit, relax and contemplate." Other stand out features include 'Rainbow Sun' a shimmering wall of sparkling acrylic and the Ancient Olive tree that represents an old soul and grows out of artificial rocks that look surreal. There are also refined Niwaki (giant Bonsai), a high-tech atrium and three hydroponic salad towers. 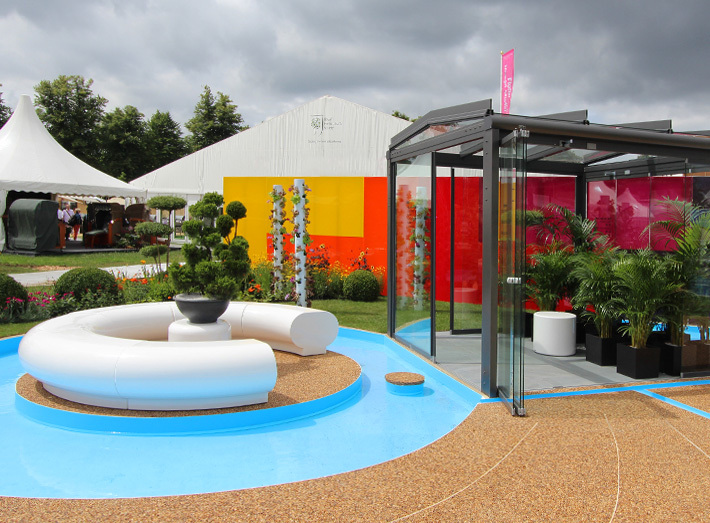 Our GeoMet white cylindrical Drum seats will also be included in the original garden design and create a further resting space for visitors to wonder at the beauty of the garden and ponder on the meaning of life. 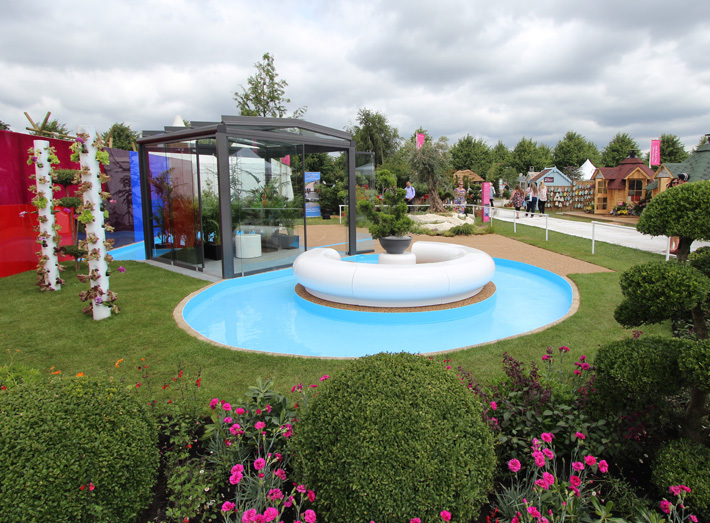 The former gold RHS Hampton Court Flower Show winner has created what he believes to be a unique garden style with 'Journey of Life'. He says: "This new classification of garden isn't solely based on visual appearance. These gardens connect with your heart in a poetic way – they're beautiful and make your soul sing." The Journey of Life garden will be asking its visitors the perennial question, 'what is the meaning of life?' and it is hoped that people will leave an answer and feel positive about their experience in this enchanting space. 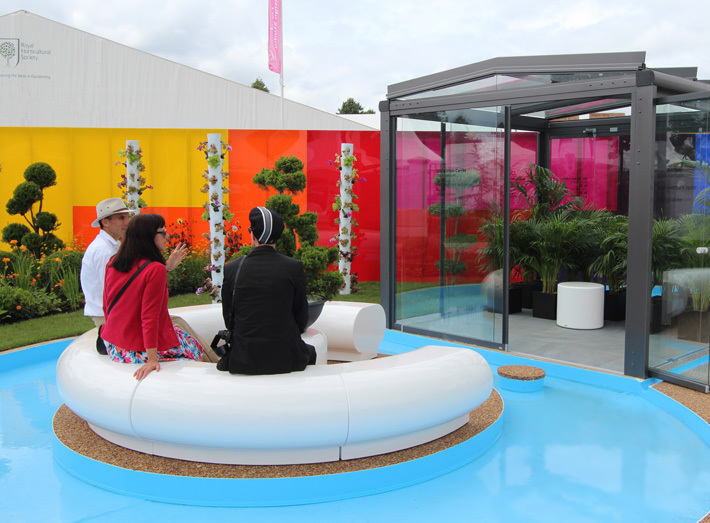 Taking centre stage within the 'Journey of Life' garden is a meditative pool created with our Halo seating, and a Rondo table / seat. Halo is very pure and minimal, it's understated yet alluring and it also blends into the landscape. Available in any colour, Halo is exceptionally durable and weatherproof, so requires minimal maintenance. 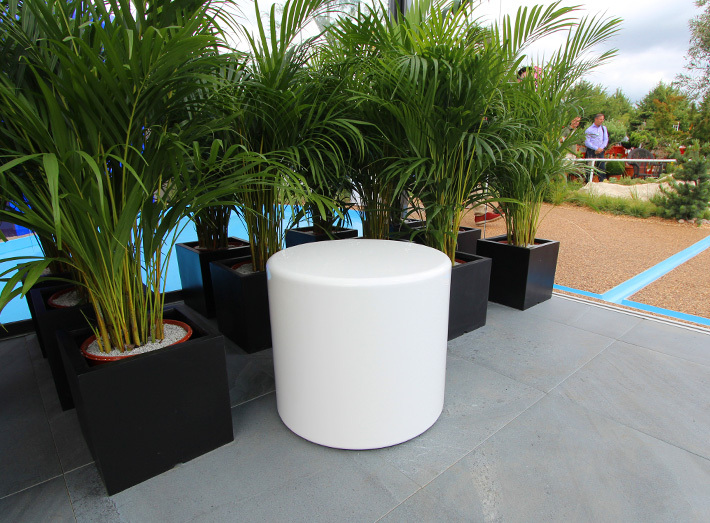 Our GeoMet white cylindrical Drum seats are also included in the original garden design. GeoMet white Halo circular seating, Rondo table / seat and Drum seating.